A Handmade Rope Pressure Halter for Horses with a Braided Coloured Noseband by Idolo. 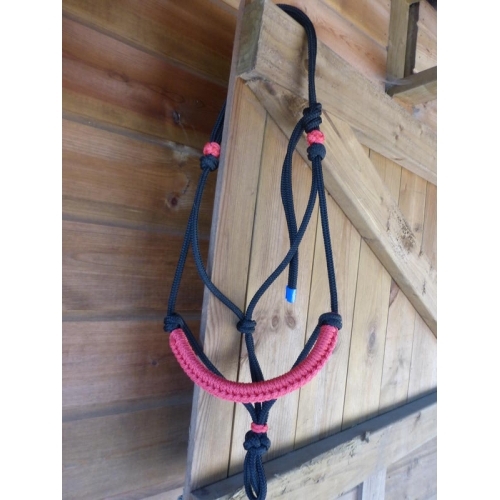 Black in Colour with Contrasting Red Noseband and Knots. This fabulous quality Idolo Pressure Halter is a great way to train your horse or even to ride with. The halter is handmade in the UK. The rope is strong yet supple which makes it ideal for using with all horses. 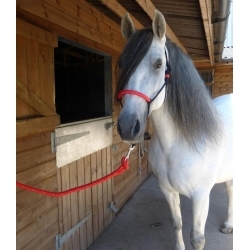 These exceptionally crafted halters are easy to use and excellent value for money. Black with matching RED noseband and knots - Please see additional images! Amazing Quality Pressure Horse Halter a Must Have For Every Horse Owner.